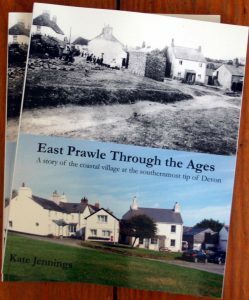 East Prawle through the Ages, by Kate Jennings, was launched on 17 May 2017. It has been a great success, with more than 400 books sold so far. It costs £20 but all profits from the sale of the book go towards the repairs of St Sylvester’s Church, Chivelstone, and we have already been able to donate £1600 which, with Gift Aid, will come up to £2000. We plan to donate further monies as and when we sell more books.